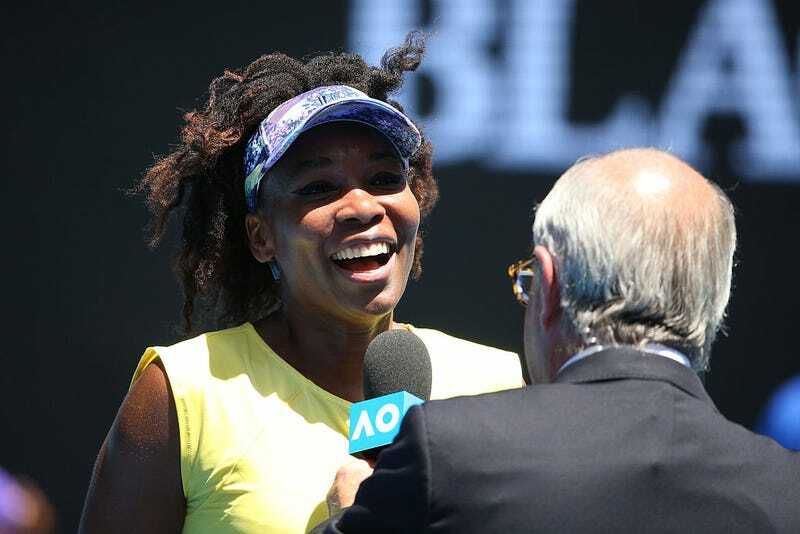 ESPN used the “gorilla effect” when it dropped tennis commentator Doug Adler from its Australian Open coverage and his remaining assignments after he compared Venus Williams’ play to that of a gorilla. Alder claimed that he didn’t mean “gorilla” as in the primate but “guerrilla” as in ... umm ... GTFOH. Alder needs to quit while he is behind. ESPN told him that it doesn’t care how he meant it; it’s a wrap. During an Australian Open stream on ESPN3, Doug Adler should have been more careful in his word selection. He apologized and we have removed him from his remaining assignments. Now, that is the real gorilla effect—whatever the hell that is.